Spanning more than 900 years of history, your visit to Tamworth Castle really is a journey through time. You can explore 15 different rooms - along with the courtyard and other hidden gems - each offering something different, giving a glimpse into the Castle's past and how it has changed over the centuries. 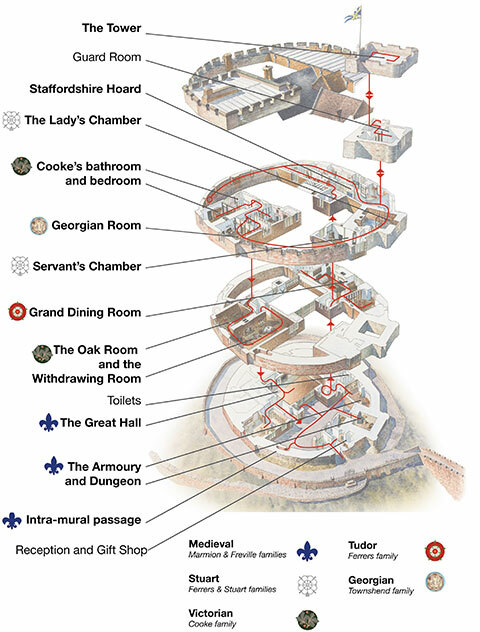 For more information on each area of the castle click on a label or area of the castle. If you are using a mobile device, or who have pop ups blocked you can also follow this link for more information on each castle area.